If you send a lot of emails (around 100k per Month), you can’t make do with the same level of security features that worked when you were sending a couple hundred emails per month. You need advanced security measures. You need to white label your emails to earn the trust of email service providers (ESPs) like Gmail, or Yahoo Mail. This ensures high deliverability for your emails. You need an advanced email platform that can deliver outstanding email white labeling features. MassMailer stands out from the competition by providing email white labeling and dedicated IP. With both of these, you can have full control over your emails without having to worry about your sending reputation. When operating your own business, you would most likely want your company name on your emails. White labeling means you can send emails from MassMailer under your brand name. Let’s look at what each of these features means for your as an email sender. MassMailer generates custom Domain Keys Identified Mail (DKIM) and Sender Policy Framework (SPF) records for every email you send to your subscribers. These important pieces of information are used by an ESP to decide whether they can trust the email before delivering it to the recipient. This is an additional layer of security that ensures that no other sender can use your domain name to send emails. This verification process means that your emails stand a better chance of avoiding the spam folder, and making it into your subscribers’ inbox. This is an important component if you use click tracking. With this feature, all click-tracked links in your emails will only show your domain, and MassMailer’s domain will be essentially masked. This means that a customer’s spam filter will let your emails through since they’re from an authenticated domain. This gives you more control over your reputation before ESPs and more confidence in your click metrics. The most significant factor in sending reputation is the kind of IP address you use. If you’re on a shared network, a shared IP address means that you have no control over sending reputation. A shared IP address is fine if others on the same IP address are reliable and follow email best practices. It’s also great if your email send volume is too low to warrant shelling out for a dedicated IP address. 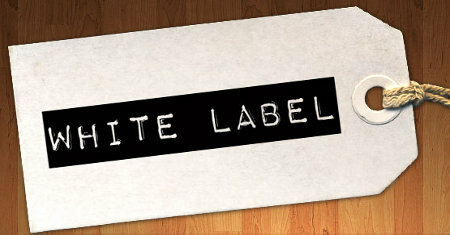 White labeling is not just another feature off of our check list. It is a powerful way to guarantee your sending reputation is intact and secures your brand name in a world of increasing spam. Don’t just be another name added to a spam list! Use MassMailer to start white labeling your emails today.